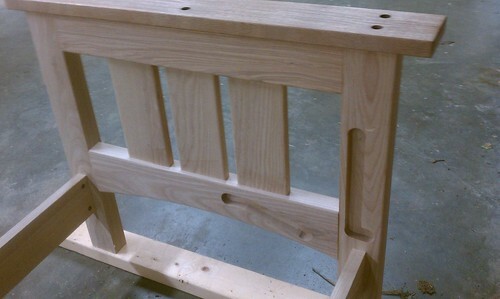 Futon Progress, a photo by Backwash Bob on Flickr. 3/4 inch deep grooves routed in the ends to accommodate the futon hardware. You can’t see it well in this photo but the armrests are made of 4/4 African Mahoghany. I will plug the screw holes with plugs cut from a scrap piece of Ash.